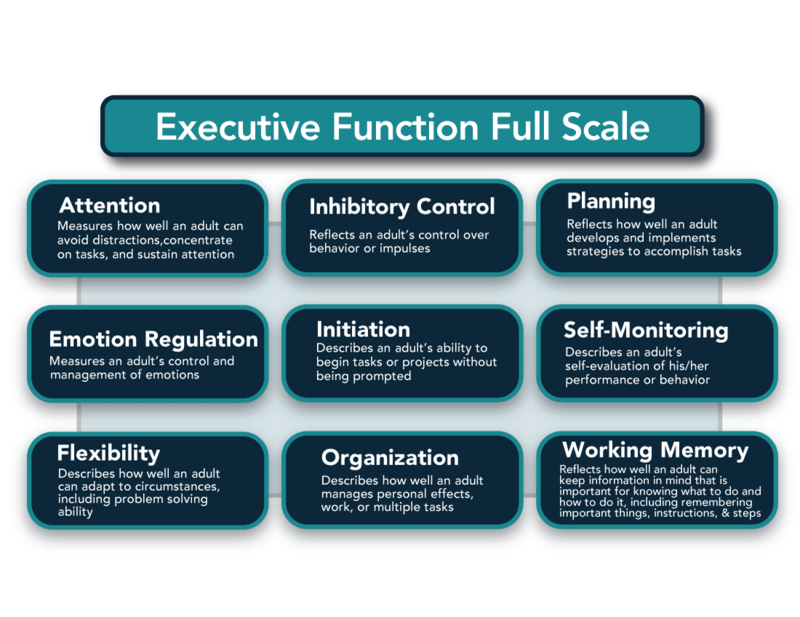 What is executive function? The term comes up a lot in the ADHD world. I aim to be a resource, and so I thought I should write a post about it to which to refer people. -Working memory governs our ability to retain and manipulate distinct pieces of information over short periods of time. Fact: My long-term recollection is better than my short-term memory. I can recall moments from years ago that seem insignificant or the phone number that I haven't had in over 22 years. Yet, I often can't recall what I ate for dinner the day before. -Mental flexibility allows us to be able to think about something in more than one way. It helps us apply different rules in different settings and it helps us to sustain or shift attention in response to different demands. For example, while cooking or driving or taking care of multiple children. -Self-control/inhibition control enables us to set priorities, start tasks and stay focused on them. Think schoolwork or work projects. This means that it enables us to ignore distractions and resist temptation. For example, the distraction of Facebook or Netflix instead of writing a blog post about executive function. Right now, executive functioning skills are keeping me in this blog post window. Really, they come down to mental control and self-regulation. Self-control includes emotional regulation and control. If we have difficulty regulating our intense emotions, then our executive function is also compromised. To put it in basic terms, when we are upset, it's more difficult for us to think clearly. Think about times that you've been in a heated argument, or when you got frustrated while trying to learn something, or you felt you were in trouble.